Time under tension is a proven way to increase muscle strength and size. So why doesn't everyone prioritize it? Because it's also an incredibly difficult test of your focus, grit, and mental resolve! Here's how to make it work for you. We often hear that we should stick with the basic, battle-tested exercises when we&apos;re looking to build muscle. And, we also often hear that in order to build muscle, we must include enough training variety to keep our bodies interested and positively adapting, and prevent our workouts from growing stale and less effective. It&apos;s no wonder that lifters of all experience levels—and even some trainers—find themselves confused, because these training tips seem to directly contradict one another. One says, "do the same stuff," while the other says "don&apos;t keep doing the same stuff." What are we to do? Here&apos;s the answer as I portrayed it in my book "Strength Training for Fat Loss": "Any good training program should have enough consistency to allow you to see progress, and it should have enough variety to prevent boredom and staleness. This involves using the same basic exercises but in slightly different ways." In other words, you certainly do want to stick with the basic muscle-building exercises, but you want to apply them in a variety of not-so-basic ways. Making the classics new can be as simple as adding in a strategic pause or change of speed. Here are four ways to do it. All four of these techniques are designed to subject a muscle group to increased time under tension (TUT). In my article "Smart Dumbbell Lifting: Iso-Dynamic Training," I explain how increasing TUT is perhaps the best way to increase metabolic stress, which is one of the three known mechanisms for increasing muscle hypertrophy. Isometric training is also known to be an effective means of adding muscle. Isometric training is also known to be an effective means of adding muscle. 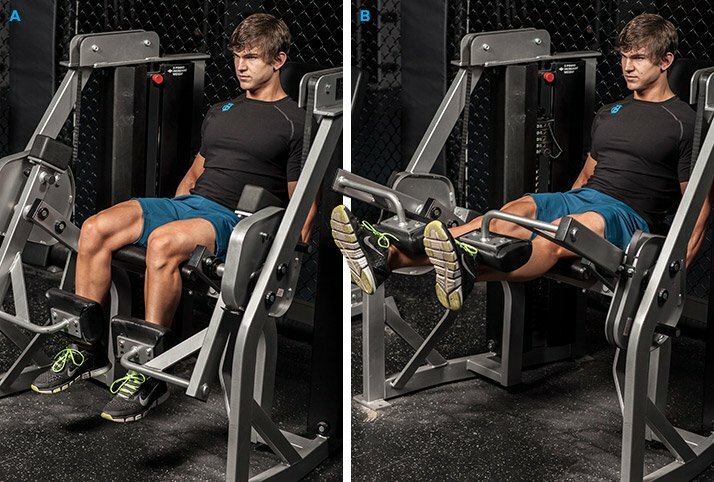 The last two techniques in the list—pause-go eccentric and go-pause eccentric reps—also incorporate a slow eccentric (lowering) component. Combining concentric and eccentric training can optimize the development of both muscle strength and size. The four movements may look more or less the same when you first glance at the names, but make no mistake: Each one provides a unique stimulus and is better suited for certain movements—and definitely not suited for others. So I&apos;ve also included a list of one movement per body part I think is best suited for each of them. To perform a pause-go set, start with an isometric hold in the most difficult portion of any movement, followed by a set of regular full-range-of-motion repetitions. The general repetition range we use for these sets is an 8-10 second isometric hold followed by 8-10 normal full-range-of-motion repetitions. That may not sound like much of a difference from how you do things now, but the simple addition of the hold will definitely give any old exercise a whole new feel. But before you try it, make sure you&apos;re doing it right. Some exercises will perform the isometric hold in the midrange, while in other exercises will perform the isometric hold in the shortened range of the exercise. Here&apos;s how you hold it with my personal favorite movements to utilize with pause-go reps.
As you might expect, this is simply the reverse order of a pause-go set. You perform 8-10 regular full-range-of-motion repetitions, followed by an isometric hold of—you guessed it—8-10 seconds. I like using go-pause sets because they allow you to get just a bit more work done in the fatigued state, where you are unable to perform a full-range-of-motion rep with good technique. Also, individuals competing in the physique sports regularly must hold isometric contractions for extended periods of time while on stage performing their posing routines. Practicing isometric holds beforehand can better help prepare the body to meet this challenge. These are some of my favorite movements to use with go-pause sets. Notice that they&apos;re not all the same as for pause-go sets. Pause-go sets are already tough. So why add an additional 8-10 second eccentric (lowering) phase to your 8-10-second hold and 8-10 full reps? Well, at the end of the set, when your muscles are too fatigued to lift the weight without cheating, they still have the strength to lower it under control. As I explain in my article "Cheat-Centrics: A Better Way to Perform Cheat Reps," you&apos;re stronger eccentrically than concentrically. This physiological reality makes eccentric training perfect for when you have less energy to give at the end of a workout. These are my top exercise applications for using PGE sets, and how to hold them. Got the pattern yet? This is where you perform regular full-range-of-motion repetitions followed by an isometric hold, and then, like the above, finish the set with a slow eccentric repetition. Just like pause-go eccentric reps, the general repetition range we use for go-pause eccentric sets is 8-10 normal full-range-of-motion-repetitions, followed by an 8-10-second isometric hold in the most difficult part of the lift, followed by one 8-10-second eccentric lowering phase. That might sound like a lot of counting. If you don&apos;t have a clock in your field of vision or someone timing you, try this: Count the isometric portion of the lift up from 1 to 8, and the eccentric portion down from 8 to 1. What about Squats and Deadlifts? Just because you don&apos;t see squats or deadlifts listed on any of the exercise applications above doesn&apos;t mean I don&apos;t think you should perform these movements. Far from it! Put simply, certain training methods fit well with certain exercises and not others. There are plenty of other overload methods that are more appropriate to apply when using squats and deadlifts. However, for the movements I&apos;ve listed here, combining pauses, straight sets, and slow eccentrics will give your muscles—and your mental resolve—all they can handle.